Foxtel CEO Peter Tonagh today confirmed plans to revamp its Foxtel Play service in December with new pricing designed to combat rival streaming services. Pricing for the IP-delivered service is yet to be disclosed but it will feature five different entry level tiers “to match viewers’ interests” including two options for drama plus one option for Lifestyle, one for Documentary and one for Kids. It will also feature a Sports tier and Movies tier. Subscribers will have access to all linear channels in the tier along with all of the on-demand, catch up and library content available to that tier plus mobile access via Foxtel Go. Foxtel CEO, Peter Tonagh said the service centres on a ‘bring your own device’ and ‘bring your own bandwidth’ model. “Foxtel has been at the forefront of providing unrivalled entertainment to customers for more than 20 years. Our new flexible pricing and delivery will mean that even more Australians will be able to design a subscription that works for them and once they experience what we have to offer, we’re confident they’ll be hungry for more,” he said. Foxtel also confirmed it is developing a new low cost ‘puck’ to access its IP delivered content. It’s not clear how the new ‘low cost, low commitment’ entry will affect the Foxtel-Seven joint venture Presto, which trails Netflix and Stan in subscriptions, but there has been industry chatter that Seven may exit the deal. Foxtel will also launch a new kids app in December. So long as they have it on the Telstra TV box I will be happy ! Sounds like Foxtels equivalent of NOW TV. If their changing stuff can they stop charging for HD? So what is the difference between Foxtel Go and Play? Foxtel Go is a SVOD & live TV service you get for your mobile or tablet when you subscribe to cable or satellite foxtel. Foxtel Play includes Foxtel Go access. 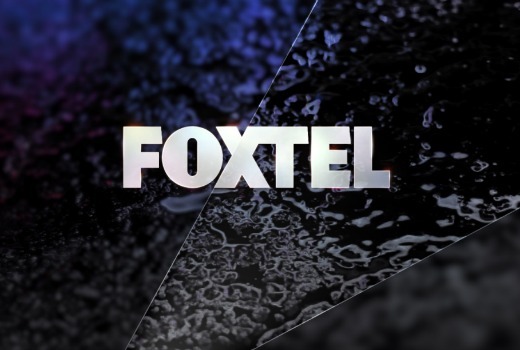 Foxtel Play is completely separate to regular foxtel with different packages and pricing. Can’t see this being anything of any note, why on earth they removed Foxtel Go from Smart TV’s is truly baffling…. put that back on and stop trying to double dip! Don’t need another Puck – make an Apple TV app! The way I read this is that Foxtel are still clinging on to their last century packaging model. People will still have to purchase (say) a whole drama pack which may include shows that they don’t want, but won’t have all of the shows that they do wish to watch. Sport and Movies look like being premium add-ons. And no mention of HD – is that going to be $10 extra or just not available? Compare that with Netflix – $8.99/m to watch anything you want including movies, $11.99/m if you want HD.